Your message (however vital and important) is competing for attention with the everyday lives of the voter. Just because it’s politics and it’s important doesn’t mean it has an automatic right to be read, understood and acted upon. So, how do you get your message across? Commit your message to paper and get it out there into the community. Get your vision of what matters into voters hands. You'll need to act fast. Our most popular printing is available tomorrow and yet is still incredible value. 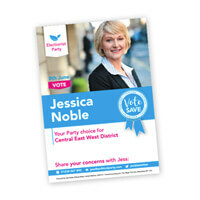 Voters will often collect their ballot paper only to have no clue who half the names are and what they stand for. FAIL! Don’t fall into this trap. What strategy do people use to remember things? Repetition. 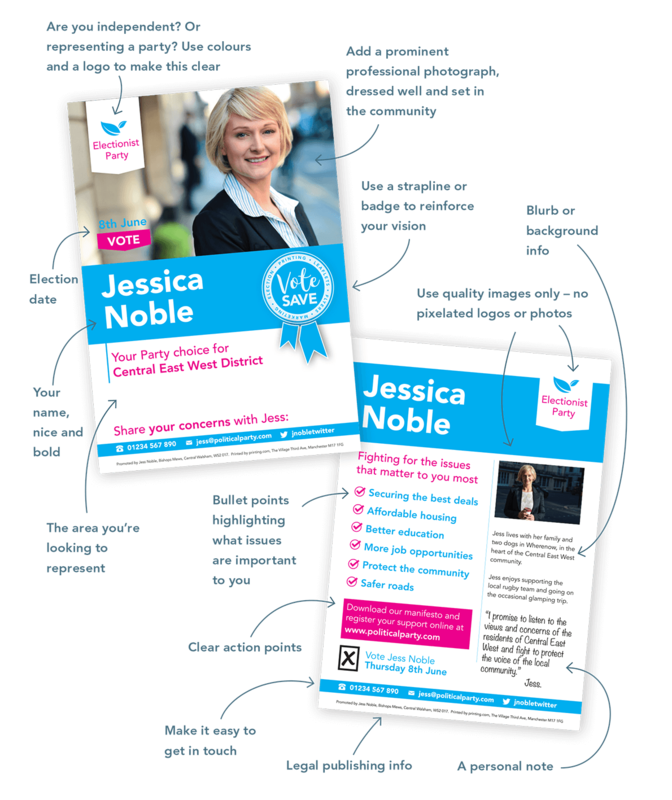 Get your name, photo, brand and key messages in multiple places, across different media, and easily accessible. A flyer posted twice to the same house (a couple weeks apart) out performs a one off piece. And in addition to being memorable, this also builds trust. 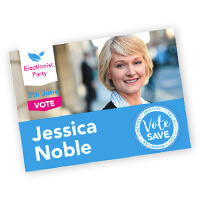 This political leaflet example is a double sided A5 leaflet but a typical postcard size (A6) and a compliment slip sized flyer (DL) are popular too. Just remember not to try and cram as much information on them. Talk to us, we can help. Printed by printing.com, The Village Third Ave, Manchester M17 1FG. Prices shown are for standy-by service, quicker turnaround times and other quantities are available. Prices include delivery to one UK address, but exclude artwork and VAT. 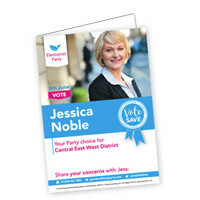 Ask your local printing.com for free print samples or for ideas on how to help make your election campaign more effective.